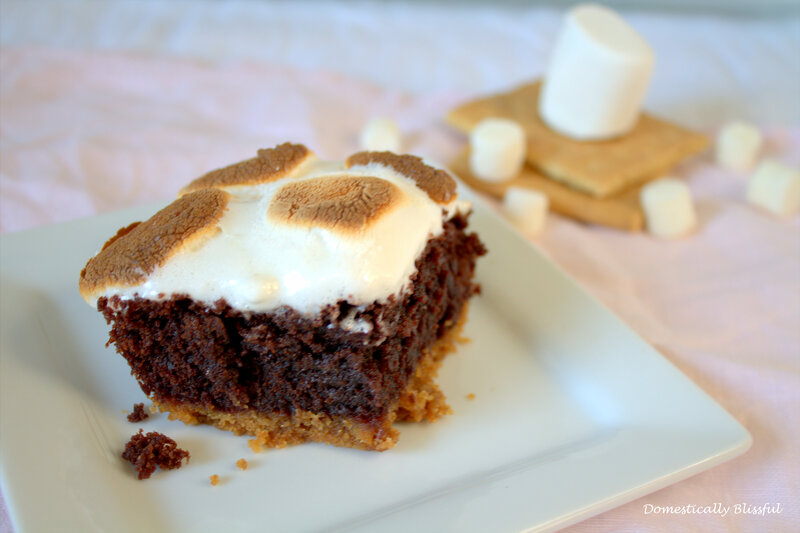 Brownies are definitely one of my go to dessert recipes when I am craving chocolate. 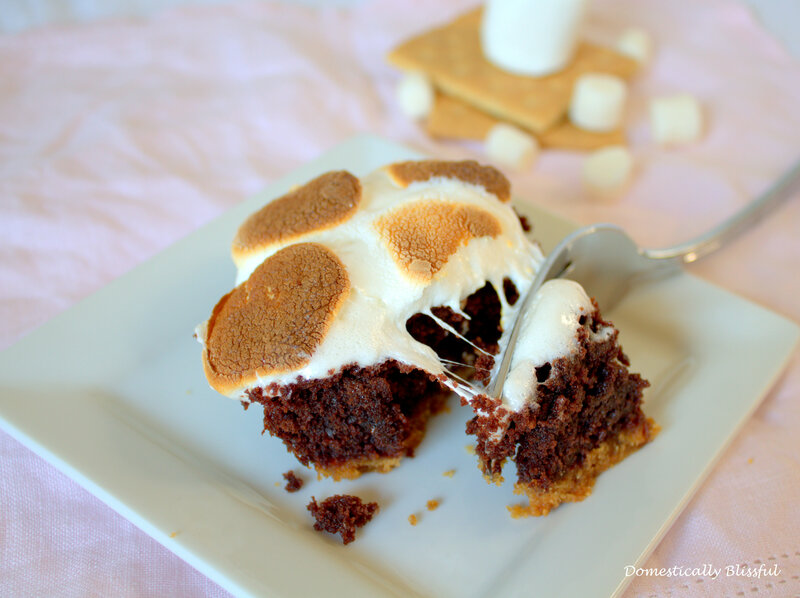 These S’mores Brownies really hit the spot, especially during the autumn season! My husband has been very impatient for these brownies all week and now he can finally enjoy them! Don’t they look delicious?! First, set the oven to 325° F. Crumble the graham crackers in a food processor or place them in a gallon sized plastic bag – closing well and leaving no air inside – and use any pint up energy to brake up the crackers using a rolling pin. Then mix the graham cracker crumbles with the 2 tablespoons of sugar and 6 tablespoons of melted butter. Then press the graham cracker dough into your baking pan that has been lined with foil and sprayed with oil. 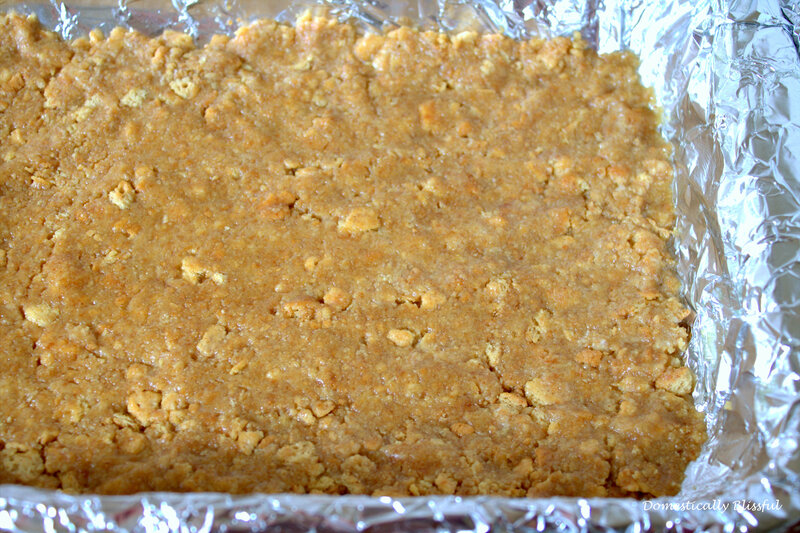 Bake the graham cracker crust for 15-20 minutes – until golden brown. While the crust bakes, prepare the brownie mix. Once the crust is golden brown, remove from the oven and pour in the brownie mix. 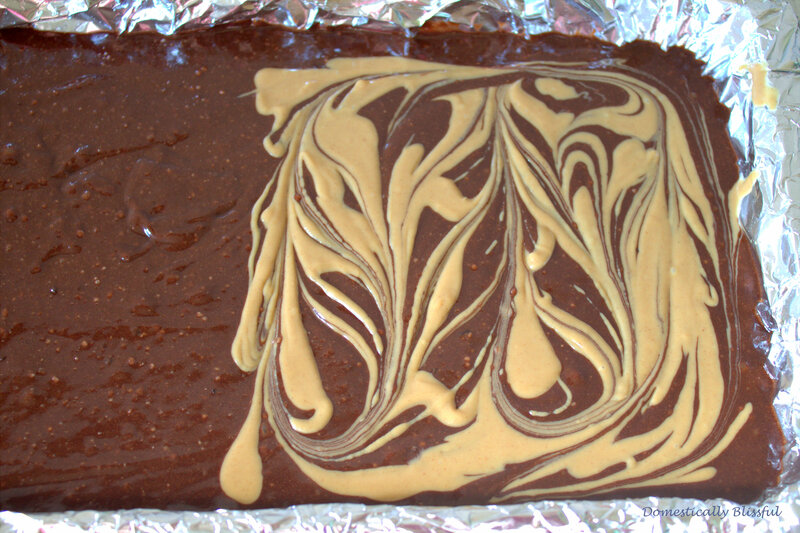 My husband and I love peanut butter in our S’mores so I melted down a little bit of peanut butter and made a pretty swirl on half of the brownies before baking. Bake the brownies according to the temperature and time of your recipe. 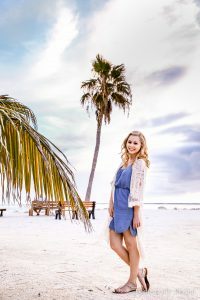 While the s’mores bake, this is the perfect time to check out these other fun dessert recipes, like Fall Filled Cupcakes or Mini Caramel Apples. Once the brownies are finished cooking – a toothpick comes out clean – remove the brownies from the oven. 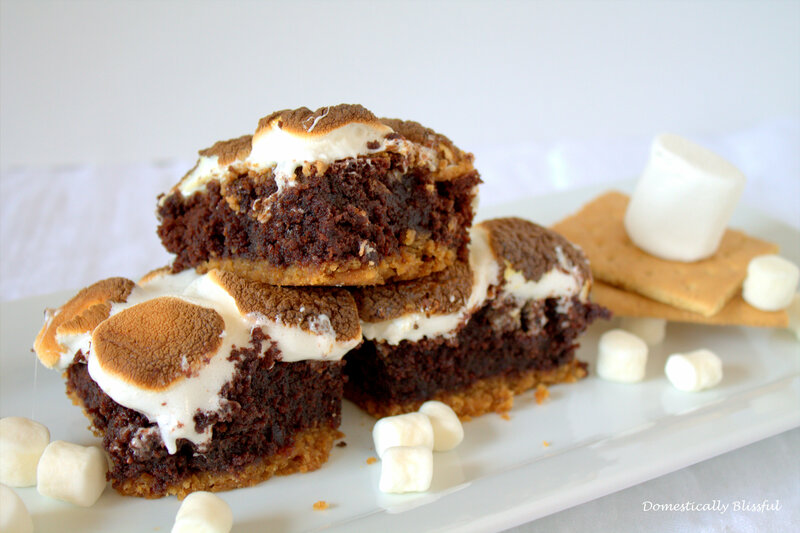 Add the marshmallows – I like to use the regular sized marshmallows cut in half with the cut side down – return the s’mores brownies to the oven on broil for 1 minute – watching them very carefully so they don’t burn; they will darken quickly. 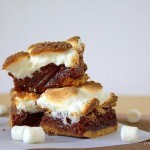 Remove the S’mores Brownies from the oven, let cool, and enjoy! First, set the oven to 325° F.
Bake the brownies according to the temperature and time of your recipe. Once the brownies are finished cooking – a toothpick comes out clean – remove the brownies from the oven. 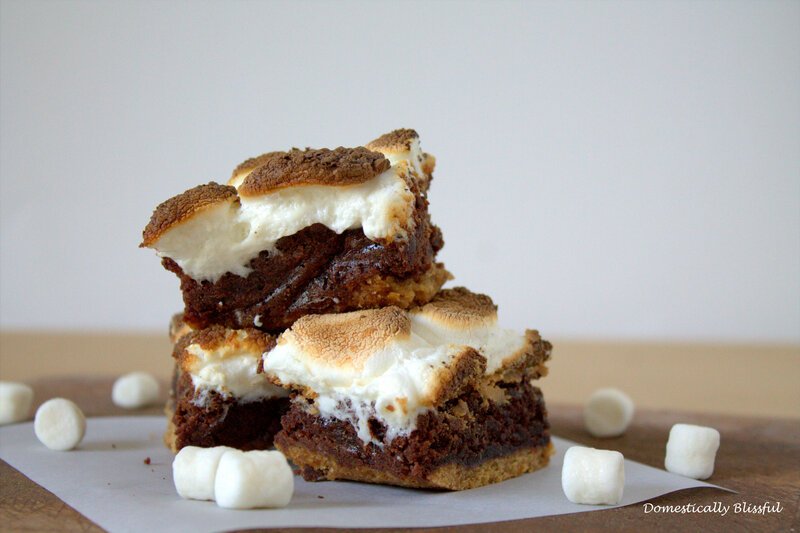 Add the marshmallows, return the s’mores brownies to the oven on broil for 1 minute – watching them very carefully so they don’t burn; they will darken quickly.